Smart Energy Networks is organized in working Groups. The Working Groups are the host of workshop and will produce reports about smart energy topics. 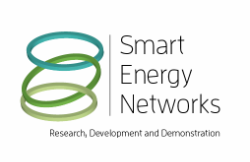 The working groups are open for all stakeholders that will take part in the Smart Energy Networks activities. Start of working groups will be announced on this webpage. The Smart Energy Networks' steering committee has the task to coordinate the activities. It consists of 8 members: 4 representing companies and the industry, 4 representing knowledge institutions and one representing authorities.